Stir the extra virgin coconut oil, balsamic vinegar, salt, and garlic together in a bowl. 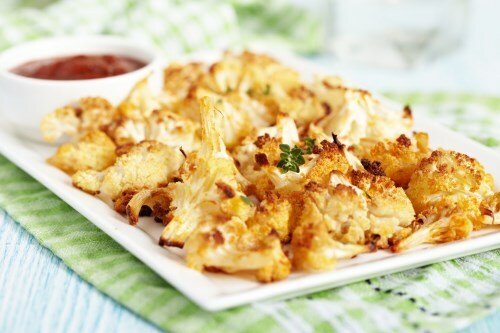 Add the cauliflower and toss to coat; spread the mixture onto the lined baking sheet. Stirring occasionally, bake in the preheated oven until tender, about 20 minutes.